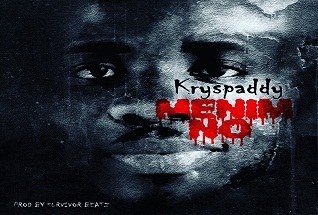 Not no long ago, Ghanaian sensational singer “Kryspaddy” shared on his social media accounts snippet of his upcoming single dubbed “Menim No” which literary means “I Know Him”. I presume this song is very dear to his heart as he shares his story about his music carrier. Is that feeling when you are so committed to what you do and always try to give your best to the lovely people out there but some never seems to appreciate your good works. At a point in time it becomes very difficult getting that support you need to make it into the limelight. Money to even pay for studio sessions becomes a hard nut to crack. 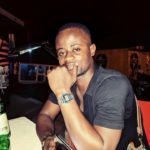 Its obvious that becoming a superstar is never easy and therefore you got to struggle very hard but i think sometimes the little we can do to help this our upcoming artiste can change the story. Kryspaddy said it all in this new single. Along the line when you penetrate through this hard times and make it to the top that is when people start to show you love and tell people how close they were to you. I get very emotional listening to this song and i share the same sentiment with him. Its such a heart felt message from this young and talented Act. Expect nothing but the best from Kryspaddy this year. He is such an incredible artiste and i would like each and everyone reading this to share this song to others. Lets help promote good talent.